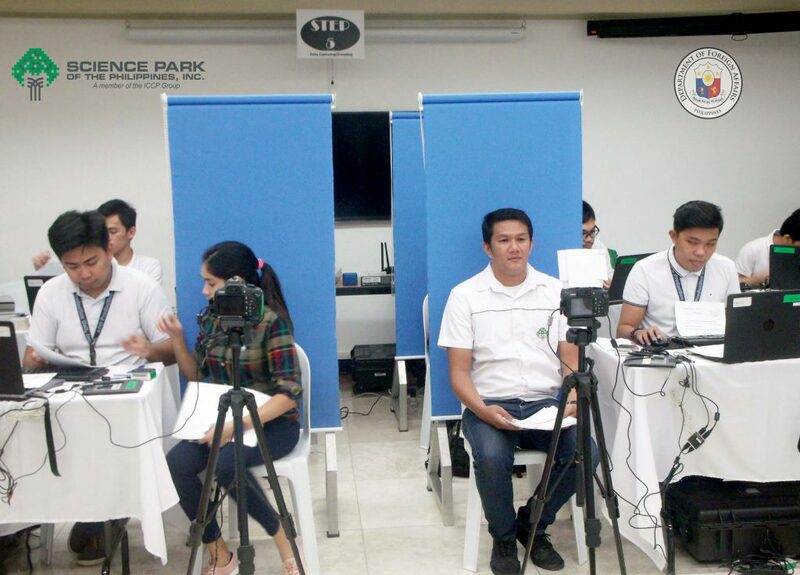 In partnership with the Department of Foreign Affairs (DFA), Science Park of the Philippines’ (SPPI) Light Industry and Science Park I, II, III (LISP), recently held a one-day “Passport on Wheels” at the LISP I Administration Building in Cabuyao, Laguna. The first-ever mobile passport service conducted by the DFA inside an industrial park aims to make passport applications and renewals easier and more efficient for employees of locators in LISP parks. Most of the locators in LISP are multinational and global corporations whose employees are often required to visit their parent or affiliate companies overseas for training, business meetings, workshops, and conventions. Over 1,500 applicants were processed during the one-day event. The joint undertaking helps locator companies save on employees’ time and maximize productivity in- stead of being away from work for passport requirements. LISP is a group of in- dustrial parks located in Laguna, Batangas, Cebu and Bataan, developed and man- aged by Science Park of the Philippines, Inc., a member of the ICCP Group.